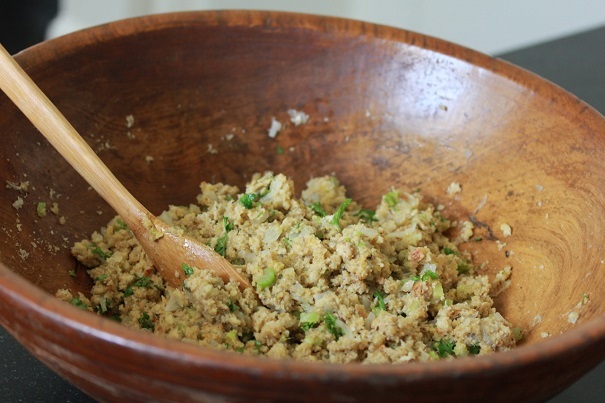 Using a food processor, shred bread into breadcrumbs. You can also do this by hand, tearing the bread into small pieces. In a large frying pan, melt the butter at medium-low heat. Add in the onions and celery and cook five minutes until both are translucent. Allow to cool. 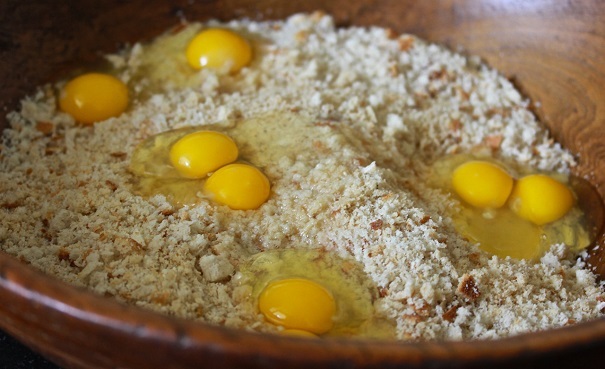 Pour bread crumbs into an extra-large bowl. Mix in eggs, then onion, celery and butter mixture. Add salt, pepper, sage, and caraway and mix well. (I use my hands to make certain it is well combined and not too dry. Mixture will be very wet, and if it’s not, throw in another egg or two to dampen it. Mix in parsley last and combine well. 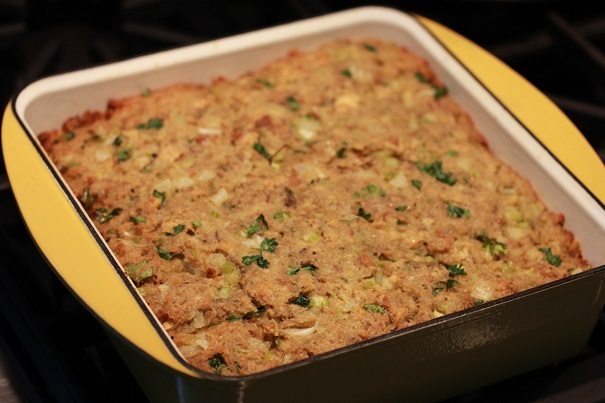 In a large greased baking dish, pour the stuffing mixture and smooth down. It should not be more than three inches deep, so that the top will be crunchy while the middle is soft after baking. Bake in over at 375 degrees for 35 minutes.